Maria Simpson, Ph.D. is an executive coach, consultant, trainer and mediator who has worked extensively with the corporate, non-profit and conflict resolution communities to promote incorporating conflict resolution into organizational systems and training people in the skills and approaches of mediation. As an executive coach, Dr. Simpson works one-on-one with managers at senior levels to improve their conflict resolution and management communications skills. She also works with teams and departments to improve their decision-making and group process skills, which often focus on improving their ability to manage disagreement and reach resolution. As a consultant to management, Dr. Simpson has conducted large-scale organization development programs that both integrated conflict management systems and approaches into new training and development programs, and worked with departments on a national level to identify the source of conflict and make recommendations for addressing it. serves as a volunteer mediator for the LA County Superior Court. has taught conflict management and communications at UCSB and UCLA Extension programs, Antioch University/Santa Barbara, and CSU Dominguez Hills. speaks on the topic at conferences such as the Association for Conflict Resolution and the Southern California Mediation Association. Dr. Simpson is a frequent conference speaker. Recently she presented talks on "Incorporateing Conflict Resolution into Organizational Development" at the conference for the Association for Conflict Resolution and “Themes in Conflict Stories” for the Southern CA Mediation Association. She will also present a new model that connects organizational culture with conflict resolution style. She was invited to address the American Society for Training and Development (ASTD) New Orleans chapter on workplace violence, and presented "Using Mediation Skills to Improve Workplace Communications and Productivity" at the ASTD International Conference in Dallas. She has also been an invited speaker on conflict management, negotiations and leadership for the California Association of Adult Day Services. She participated in a panel discussion of the impact of gender differences on negotiating styles for the Southern California Mediation Association (SCMA). Dr. Simpson is a prolific writer on conflict resolution and communications. Since 2003 she has written a weekly email called “Two Minute Training” which is distributed to over 350 people directly. She wrote the section on conflict management training for a resource guide on workplace violence developed jointly by United Way Los Angeles and the Violence Prevention Coalition, and chaired the panel that introduced this material to the business community. For three years she wrote a monthly column on conflict management for the LA Interchange, the newsletter of the LA chapter of the ASTD. Her most recent article on themes in conflict stories was published in the Spring issue of ACResolution, the magazine of the Association for Conflict Resolution. She has also served as editor and writer for the newsletter of the SCMA. Dr. Simpson is active in professional societies, including the Southern California Mediation Association, the American Society for Training and Development, and the Association for Conflict Resolution. 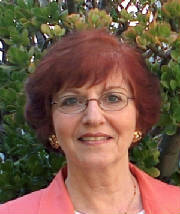 She serves on the board of directors for the South Bay Center for Dispute Resolution and on the Board of Directors of Dorris & Associates: A NEAS Company, provider of EAP services. Dr. Simpson received her doctorate in communications from New York University and completed her certificate training in mediation at the Los Angeles County Bar Association. Her organizational experience includes senior management positions in organizations such as the Constitutional Rights Foundation, the New York Academy of Sciences, and The Conference Board among others. Kaiser Permanente, The Employers Group, Dispute Resolution Services, HealthView, Inc., Seagate RMG, Easter Seals, Toyota Financial Services USA, Dorris & Associates, Premiera Care, and Bank of America are among her corporate clients.